We can set up your company's vehicles with durable, attractive fleet markings. Our vehicle signs project a modern, professional look for all your company vehicles, and serve as an effortless form of advertising. Stand out on the road! 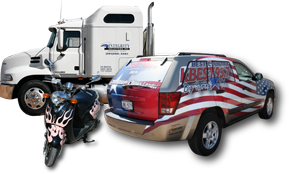 We can customize your company's vehicles with magnetic signs, spot decals, or full graphic wraps. Setting up your company's vehicles with attractive, durable fleet markings projects a modern, professional look, and serves as an effortless form of advertising. Whether you're looking for a permanent decal or a removable magnetic sign, we can make your company vehicles stand out on the road. 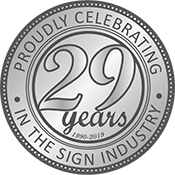 Our vinyl signs and decals are designed to withstand abuse from the elements, with UV resistant coating and durable adhesive. Magnetic signs are a highly durable and cost-effective way to promote name recognition within your business area. Customers who do not want signage permanently affixed to their vehicle or other iron or steel surface have the option of magnetic signage. We also stock perforated vinyl for full window coverage without the loss of visibility from inside the vehicle.